My life is usually pretty boring, but every once in a while I have a non-routine weekend. 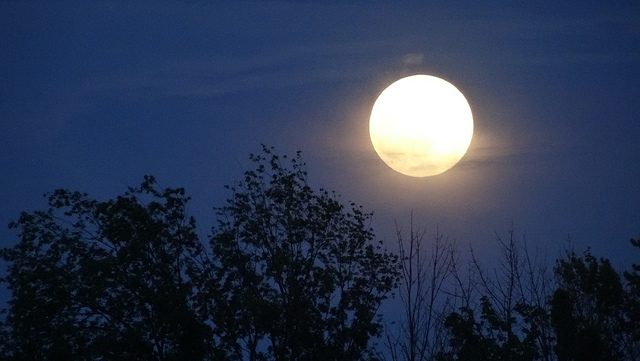 This particular weekend, there was a full moon – whether that contributed to the events, I don’t know. On Friday, I had a day off from work because it was my IV infusion therapy day. I don’t know about anyone else, but I’d much rather have needles stuck in various places and weird fluids pushed through my veins than to deal with my boss. So, Friday actually started off ok. I slept in a bit, did a few light chores and got ready for my therapy. Then I got the call from the large electronics store where I had purchased my TV. On the 21st of last month, my 28” TV/DVD player croaked. It was only 6 months old and under warranty, so hubby and I dragged it back to the large electronics store where it had been purchased. When I explained the problem, the customer service rep said it sounded like I would be getting a replacement TV. But then, he checked with the manufacturer – who said the TV would have to be shipped to CHICAGO for repair, and it would take about a month to come back! Jeepers – aren’t there any repair people within 100 miles of me? Having no choice, we left the TV for shipment – again, this was the 21st of last month. On the 30th of last month, I got an email saying the TV had actually been received in Chicago for repair. Say what? 9 days to get from Buffalo to Chicago? I could have driven it myself in 2 days. On the 7th of this month, I got an email saying the TV had been repaired and was undergoing final inspection. Guess the repair people in Chicago are a little more efficient at packaging and shipping than the store in Buffalo, although it still took another 10 days to actually get back to Buffalo. Say what? Isn’t a replacement TV what I was supposed to get four weeks ago? Saturday started off fairly normal. We had a morning appointment to get Puppy Cody’s nails clipped – no big deal. Then for whatever reason, I decided I had finally had enough of the stuttering/jerky transmission in my Ford Focus, so I made an afternoon appointment with my favorite Ford saleslady to check out a new car. Puppy Cody was good at her appointment, the vet told me. However, the tech still managed to overclip one nail, causing some bleeding. No big deal – the bleeding was taken care of, and we went on our way. Quick stop at home to grab some lunch. Hubby decided my car needed to be vacuumed and washed just in case I wanted to trade it in (this is the same guy who thought I was nuts to be thinking about turning the car in before lease-end). To make a really long story shorter – I drove a 2012 Ford Focus to the dealership and came back home with a 2014 Ford Escape. Nice way to spend a Saturday afternoon, but I still think the full moon had something to do with it. It wasn’t until 10 pm that night that I realized I had not done the laundry for the week and would be running around naked real soon. That was when I discovered that there was a bloody paw-print on the light-colored pants I had worn while buying my car. Well, that certainly explained some of the odd looks I had received on the new car lot! We were looking forward to a nice quiet day to catch up on everything that didn’t get done on Saturday. 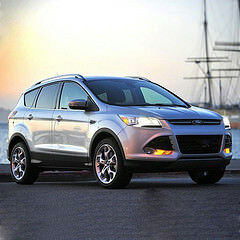 The first maiden voyage in my new Escape was spent driving my husband to the ER because his tachycardia had kicked in. The ER was unusually busy for a Sunday morning. By the time hubby was triaged, the tachycardia had resolved itself, so he opted to just go home rather than spend the $100 co-pay to be seen for a problem that no longer existed. Since he goes through these episodes periodically, he pretty much knows when the incident is over, and I trust his judgment, so we went home. It was his idea later in the day to go to the large electronics store to pick up my replacement TV. I expected it to be an easy exchange since there was already a paper trail on the return, repair, and damage to the TV. Of course, the store itself didn’t have quite the same paperwork, and a manager had to be called over. Of course, the store did not have an identical TV in stock. When the manager said it could “take time to order one,” I nearly went ballistic. Fortunately, that store has a good manager. He offered to provide a similar TV in a different brand, and when he discovered that they did not have any 28” TV/DVDs in stock in the store, he replaced my broken unit with a brand new 32” TV/DVD – and adjusted the price so I wouldn’t have to pay anything (heck, I shouldn’t have to- I’m not the one who broke the 28” TV in shipment). And of course, we still didn’t have a proper stand for the TV , and Target is right next door. Fortunately, Target had a stand in stock that will work. Fortunately, I now had a very nice SUV with backseats that fold down so both the TV and the stand would easily fit inside. Unfortunately, it was a very heavy box, and hubby strained himself taking it to the car and then into the house. It’s now late Sunday afternoon, and I’m waiting for the other shoe to drop. Despite being in pain, hubby insisted he needed to go to the grocery store for our usual weekend stock-up. He hasn’t returned yet. Cody just pulled all the stuffing out of her newest toy, and is looking a little peaked. I don’t think she ate any of the stuffing, but who knows? I just want to have a light dinner and a glass of wine, followed by reading a good book. Next weekend, we’ll put together the TV stand and set up the new TV. Next weekend, I don’t intend to take my new SUV anywhere. Next weekend should be pretty boring, and right now that looks pretty good to me. Images by: Rachel Kramer, and csc1950, and BlueSpringsFordParts, and Paul Townsend, respectively. This entry was posted in Pets, Road Trips & Cars, That's Life and tagged electronics, Ford Escape, Ford Focus, full moon, new car, tachycardia, TV repair. Bookmark the permalink. I had a boring weekend. And I was commiserating with myself (since I’m the only one with the patience to listen to me commiserating) that I need to start doing something more exciting or interesting during the weekends. But after reading your post, I am now thankful that my weekend was so boring. By the way, about that 32″ TV/DVR. I assume if it was heavy enough to have strained his back, I assume it’s not one of those flat LCD or LED TVs. 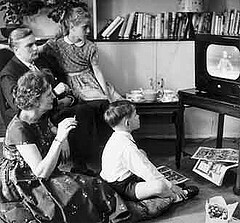 So was a tube TV? With a built in DVR? Do they still make and sell those? Or did your weekend include time travel back to the 1990s? No, it was a flat screen TV and very light (I could have carried it). The bookcase/TV stand caused hubby to strain his back. And wouldn’t you know it? – when we tried to put that darn TV stand together, we discovered one of the parts was seriously warped and we had to take it BACK to Target. It may have been the only one in a stack of about 10 that was warped, and it was just my luck that we picked up that one. We went to a different store and replaced it with a bookcase/TV stand that did not need assembly. All’s well that ends well…eventually. You have unilaterally raised the GDP by 10% this weekend CM. Ha! New car, new TV ( another has to be made to replace the one they gave you. ), 2 TV stands, new pants, and almost a new husband. Even the transportation industry gained – shipping your old TV back and forth before breaking it.All that running around (to the hospirtal and such) has even bolstered gas company stocks. Ha! However, you have not added to the medical sector much, and hopefully won’t. Well, I’m always happy to help out The Man. Not. I’ll be dealing with some of these issues next month, right after my favorite guest poster does his thing. Ok so I got worn out just reading your post about your weekend let alone living it. But I concur with dobster418 ,all’s well that ends well. And I’m still waiting for that boring weekend I was looking forward to! Well, maybe this upcoming 3-day weekend will be quieter. I have ulcerative colitis, and I undergo Remicade infusion treatments every 8 weeks so that I don’t have to go back on prednisone. Long-term prednisone can weaken the bones, resulting in breaks. I already have osteopenia after being on prednisone for too long. My Weekend post apparently wasn’t clear enough. The TV/DVD was under the original manufacturer’s warranty – I did not purchase an extended warranty. I seldom buy those, for the very reasons you mention in your comment. I had to laugh at the last part of your comment. Cordelia also brought up the fact that the Grumpy Old Dude might be attending a knife convention, and she suggested I might want to meet him BEFORE the convention. But then again, I have my alter-ego, Not CM, and she can handle herself. My Weekend post apparently wasn’t clear enough. The TV/DVD was under the original manufacturer’s warranty – I did not purchase an extended warranty. Actually, I’m CM – NCM hasn’t jumped on this bandwagon [yet]. It’s confusing to me as well sometimes. Feel free to vent on my posts any time – the more comments the merrier. What freaky timing! This just popped up on my personal Facebook page as a memory from 2 years ago, and hubby and I are planning to go TODAY to check out new vehicles as his car lease is up soon. Enjoy! It’s always fun, Karen. Right now we’re just in the “let’s go to the dealership and decide what color” phase. We both pretty much know what vehicle we each want when our respective leases are up. Some weekends are just like that, but these types of things seem to happen to me more than most!